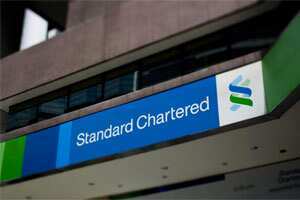 London: Tough regulations will curb Standard Chartered Plc’s profitability in the next two or three years but should help pave the way for “remarkable" medium-term growth as European rivals retreat from Asia, its finance boss told Reuters. But Europe’s third biggest bank, which relies on Asia and the Middle East for the bulk of profits, should hit RoE targets again after that. In the meantime, it is on track to grow annual income by at least 10% this year and beyond, he said. “With the amount of incremental equity capital we’re now carrying, with the rising regulatory costs impacting on the business, particularly liquidity costs, it’s much more difficult to see those returns getting back up to mid-teens for two or three years," Meddings said in an interview on Wednesday. But the same pressures will force European rivals to retreat from Asia, and Meddings said his bank is well-placed and primed to snap up market share and higher margin business. Highlighting the bank’s balance sheet strength, Standard & Poor’s -- which has downgraded 15 top western banks battered by the sovereign debt crisis and economic woes -- upgraded its Standard Chartered credit rating on Thursday. “Standard Chartered has got to steer through all this economic uncertainty and an avalanche of regulatory demands, but if we do that well I think we’re on the cusp of quite a remarkable period for the bank," Meddings said. “Given the strength of our balance sheet and the markets we’re in, we have the opportunity to transform the bank again in good growth markets by repricing and winning market share." The Asia-focused bank, one of the few still hiring while the bulk of the industry shrinks across the globe, expects to add up to 2,000 net new staff this year -- around double previous predictions -- as Asian economies buck western woes. Similar expansion is likely next year, although Meddings declined to specify how many will be added to its 85,000 workforce: “You’d expect us to be on a similar growth trajectory," he said. His optimism marks a stark contrast to almost all European rivals. But Standard Chartered has few operations in the debt-crippled west, with more than 80% of profits coming from Asia and the Middle East. The bank is expected to report a profit of $6.8 billion this year, up 12% from 2010 and a ninth successive record. That would mark a five-fold increase over the last decade and compound annual growth of 18%. That has seen Standard Chartered leapfrog big names like Barclays and Deutsche Bank in terms of size to rank behind arch-rival HSBC and Santander, with a market value of $50 billion. But there are potential storm clouds. China’s economy is stuttering, the bank’s boom in India has stalled and the euro zone debt crisis is threatening to derail global growth. China’s growth will slow, but Standard Chartered predicts a soft landing. It sees the economy growing at 8.5% next year, from an average of 10.4% in the last decade, and reckons growth in other markets will easily outpace the west. Singapore and Indonesia are two such key markets. The bank is targeting income of $3 billion from Singapore by 2014, up from $1.7 billion in 2010, Meddings said. Meddings is expecting “very aggressive" deleveraging by western banks as an onslaught of tougher regulations is compounded by European and US economic slowdown and a sovereign debt crisis. French and other European banks are all pulling back sharply from capital intensive and dollar-funded business lines in particular, bankers have told Reuters. Meddings expects to grab business in trade finance, project finance, cash management and sell higher value products not just to its top 100 clients, but the next 500 too. Standard Chartered, which started life financing trade between Europe and Asia and Africa in 1853, expects its wholesale bank -- which accounts for three-quarters of profits -- to drive future growth. Standard Chartered wants to return to its roots in China as part of the first wave of international firms to be allowed to list in Shanghai, alongside the likes of HSBC. Meddings said this was more likely to happen towards end-2012 or in 2013. Meddings, 53, is now the longest serving finance director at a top UK bank, after stepping into the role five years and one week ago when Peter Sands became CEO. The pair is well regarded among analysts and investors. That has seen Meddings recently touted as a possible CEO for rival Lloyds Banking Group. But he is seen as more likely to step up to take the CEO hotseat at Standard Chartered should Sands move on to a senior regulation or government role -- a path followed by his predecessor. “It is a very well-managed bank," said a top 20 shareholder, who asked not to be named. “It will get blown around with whatever macro issues unfold -- if China fell to pieces for instance -- but I don’t expect them to drop the ball of their own accord."